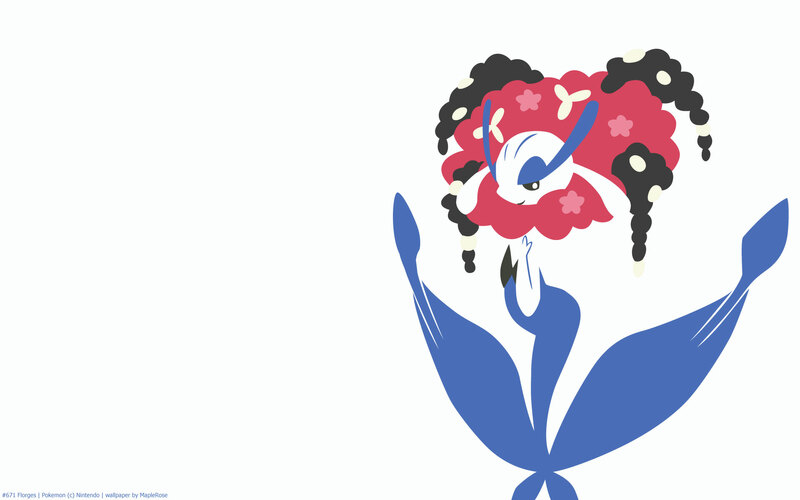 Florges evolves from Floette via Shiny Stone. It has 5 different forms, depending on the colour of the flower the Flabebe was caught in. 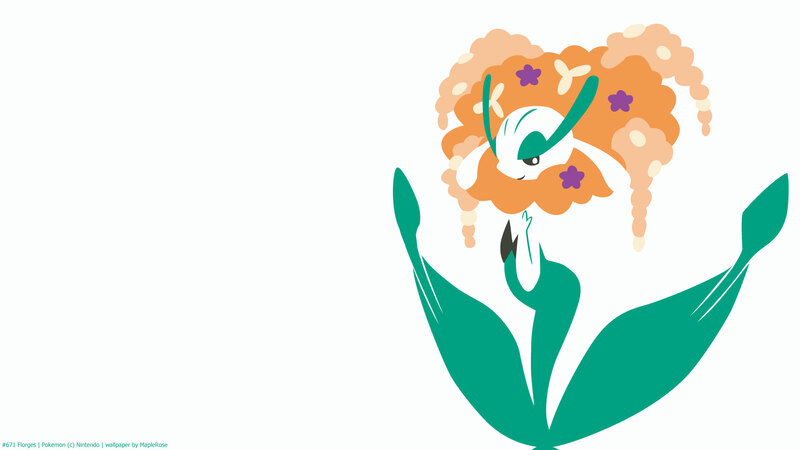 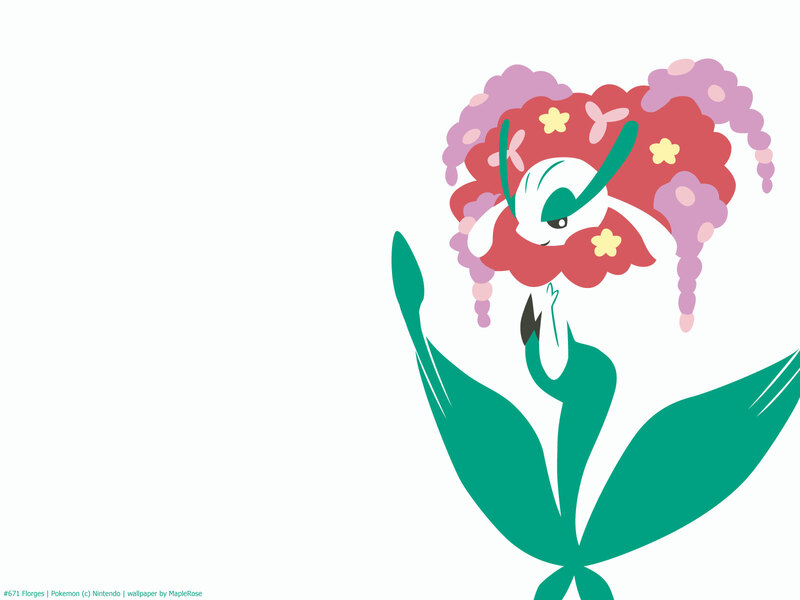 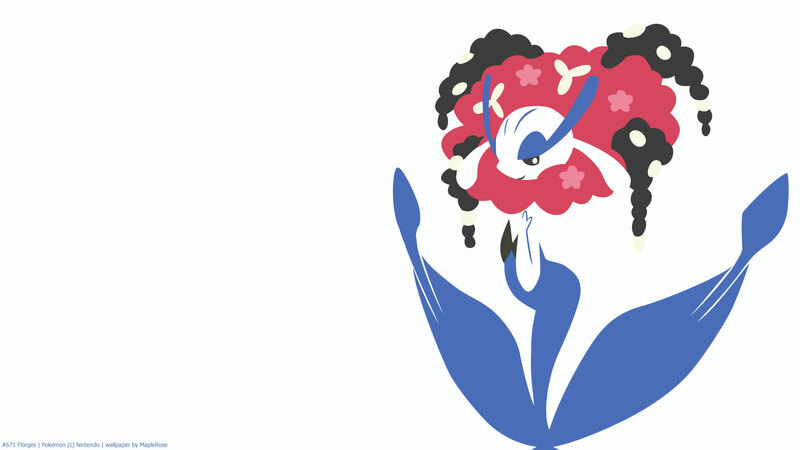 It seems that when it evolved, Floette merged with the flower it’s holding. 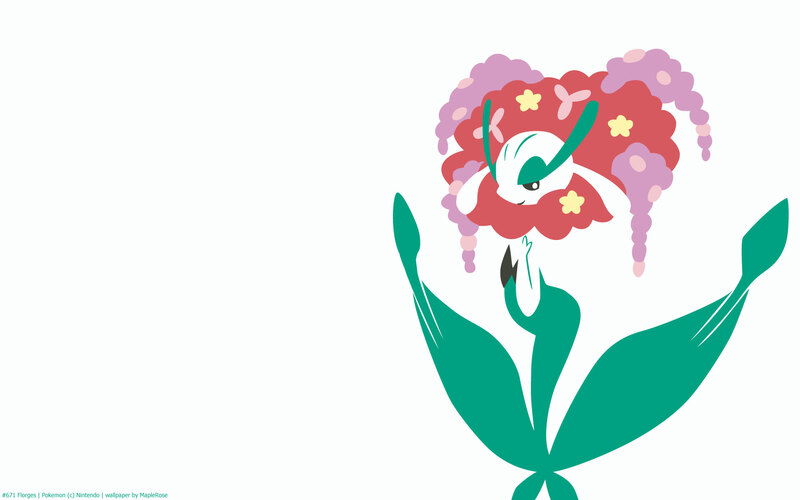 Despite its Pokedex entries talking about its connection with plants and flowers, and its appearance looking very much like a flower, Florges is pure Fairy rather than Fairy/Grass. 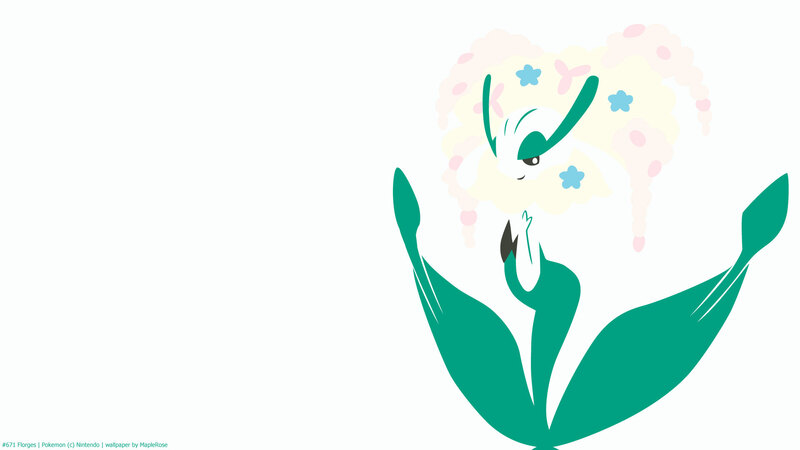 Still, it learns a lot of Grass type moves. 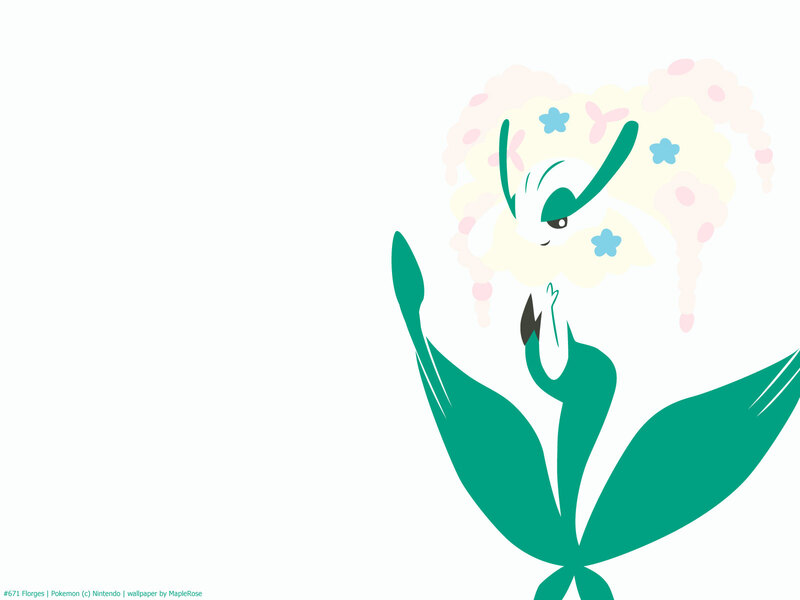 In fact, it learns more Grass moves natively than Fairy moves. 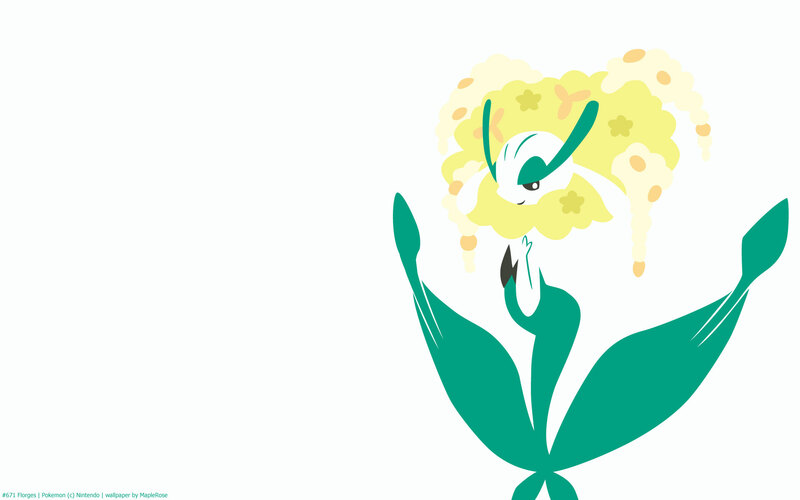 Its ability, Flower Veil, also benefit Grass-type allies. 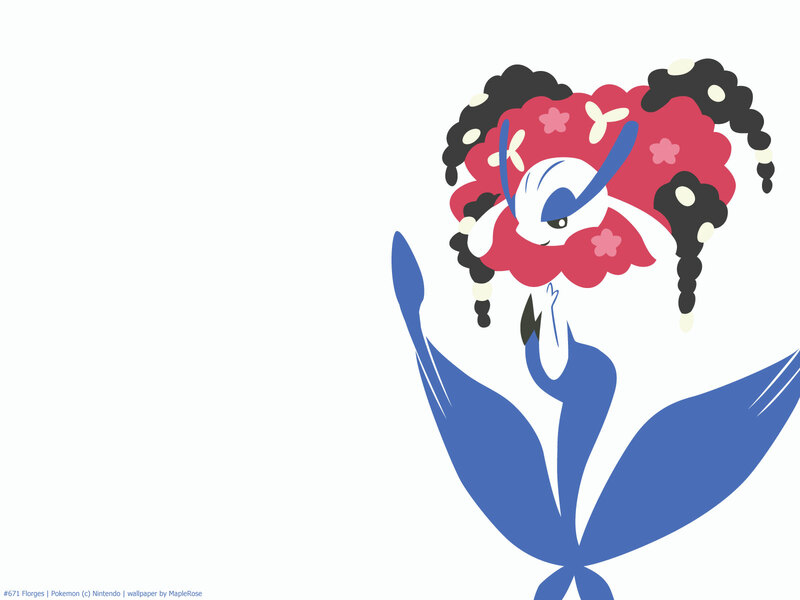 Stat-wise, it has very high Sp Def (the highest of Fairy types, in fact) and high Sp Atk.